THIS IS AN ONLINE COURSE AVAILABLE ON UDEMY.COM CONTACT ME DIRECTLY FOR MORE INFO. 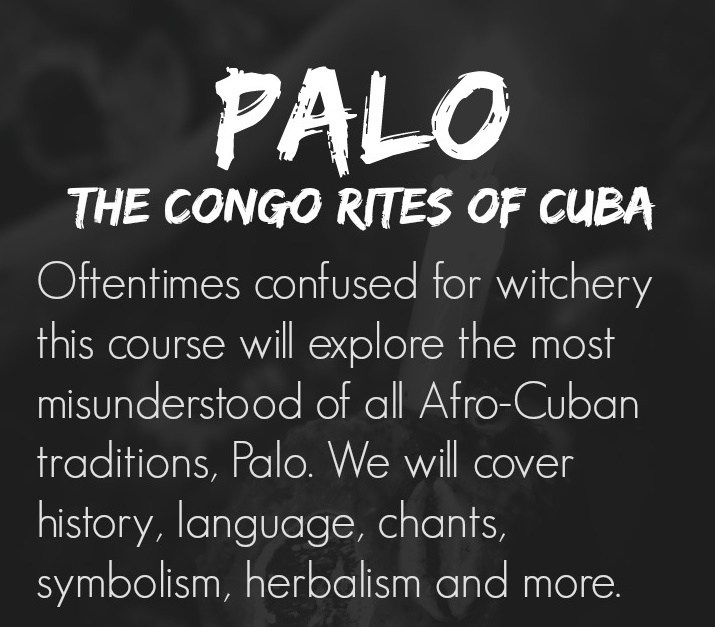 Oftentimes confused with witchery, this course will explore the most misunderstood of all Afro-Cuban traditions, Palo. This course consists of 8 hrs. of lecture and will cover history, language, chants, symbolism, herbalism and more. We will discuss the Kongo people, the origins of “Palo Cristiano” and “Palo Judio”, the etymology of names commonly used in Palo and much much more. The course is open to initiates and non-initiates alike. 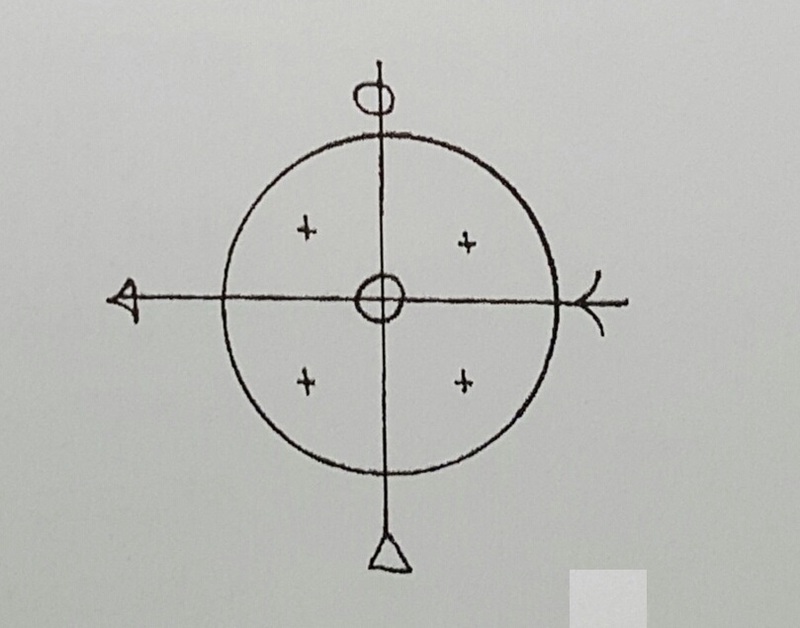 Elder priests that have taken this course have told us that even for them it was useful in understanding the origins of their practice and better equipped them to answering WHY certain rituals take place. For non-initiates and academics alike this course is a MUST as well. Discover who the Congo people are and learn about the African roots of the Afro-Cuban religion called Palo Mayombe. 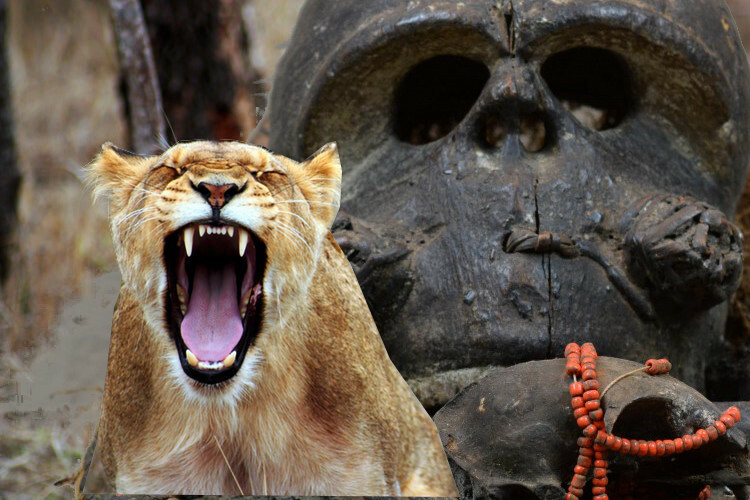 In this course, you will better understand how the events and people in Africa shaped what would later become the religion of Palo Mayombe in Cuba. This course is made up of seven lectures that are meant to easily explain the origins of the Palo Mayombe Religion as well as introduce you to the different denominations of Palo that exist today. You will also gain a better understanding of Palo Mayombe’s relationship with other religions including Catholicism and other African religions. Oftentimes confused with Voodoo and Santeria, Palo Mayombe is a religion that hails from the people who were known as “Congos” in Cuba. These people weren’t just those that come from the present-day Democratic Republic of the Congo but from a much broader area. They believed in much more than magic, this is a story of politics and intrigue that includes triumph, deceit, war and much more. This is a 90 min. lecture that discusses why firmas are used, how they are composed and what they mean. The lecture is open to initiates and non-initiates alike. OPEN ENROLLMENT. WE WILL GRANT YOU ACCESS TO THE LECTURE FOR 10 DAYS. YOU MUST PROVIDE US WITH YOUR YOUTUBE ID.